It was November 1988 and horror movie fans were about to be exposed to one of the most creepy bad guys in the genre's history, a life size best friend called Chucky. Just what we needed after a bunch of lame horror sequels which dominated 25 years ago. The only other horror movie from 1988 I can think of that is worth mentioning is Hellraiser II: Hellbound. 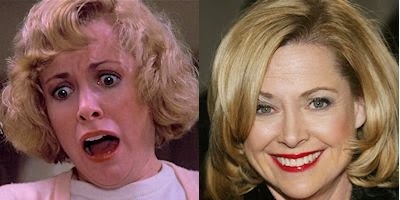 Catherine Hicks played single mother, Karen Barclay who bought the Chucky doll for her son Andy, therefore condemning him to a life of fear of dolls and annual comic-con appearances. She on the other hand condemned her own acting life to a blank void. She didn't even get credited for her flashback appearances in Child's Play 3. Oops sorry, yes there are sequels. Many of them, and they get more ridiculous as they go on. 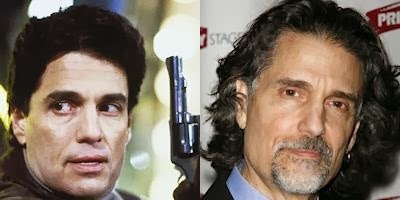 Chris Sarandon has played a broad spectrum of roles including a vampire, a skeleton, Frankenstein's Monster, Abraham Lincoln and Jesus. 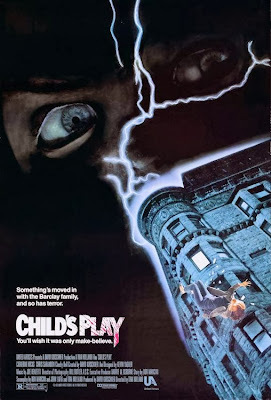 In Child's Play he plays Mike Norris, a cop chasing down the serial killer, Charles Lee Ray, and ultimately saves the day. He is probably best known for his role as the vampire in Fright Night, but he hasn't really had any high profile acting jobs since Child's Play. There seems to be a theme here. 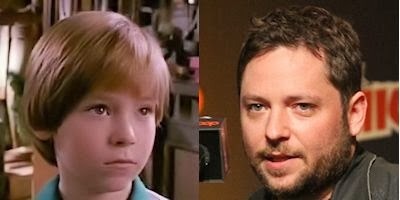 Alex Vincent played the super cute kid, Andy Barclay who just wanted a 'Good Guy' doll for his birthday and ended up with a possessed psychotic guy doll who tries to kill everyone. Alex stuck with the role through CP 2 & 3 and then quit acting. Until his money ran out and he played an adult Andy for a post credits scene in 2013's Curse of Chucky. 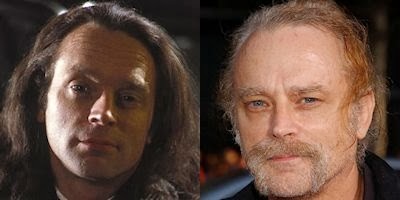 Brad Dourif played Charles Lee Ray, the bad guy who voodoolizes the Chucky Doll and makes everybody's life hell by trying to kill them. Poor old Brad has pretty much played the bad guy in a whole bunch of movies, including at least 6 manifestations of the Chucky character. He has fared a little better then the previous mentions in this list thanks to his role as Grima Wormtongue in the second Lord of the Rings movie. 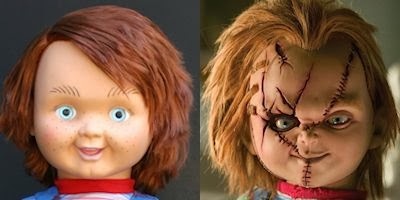 The Chucky doll first appeared in the movie franchise Child's Play as a psychotic murdering doll and has resurfaced numerous times in a variety of serious and parody roles. 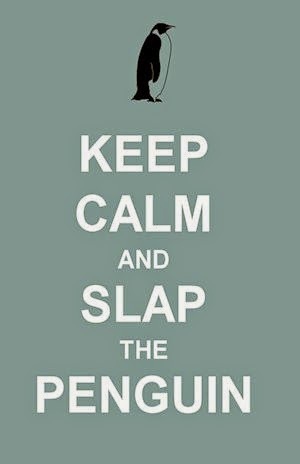 His latest escapade involves scaring the children of Scorpion Sting, a good friend of the Slap the Penguin crew. You can read about his exciting exploits HERE. As you move further down the cast list, the actors and actresses become less well known and less likely to have had small roles in Star Trek or Law and Order, as most of those above have. Child's Play is far from being the greatest horror movie of it's decade but 25 years later, it still has a gruesome edge, even though it has somewhat softened with age. I would say it is still definitely worth checking out or revisiting. Have you seen it? Did you think it was scary? How old were you when you first saw it? Share your thoughts below.